1) Before we discuss about actions of toothpaste, let us venture into history to find out who invented toothpaste. Toothpaste has come a long way over the years. Egyptians first used a paste to clean their teeth, which took place around 500 BC. Flowers, animal bones, oyster shells are the first few ingredients used as toothpaste during that time. 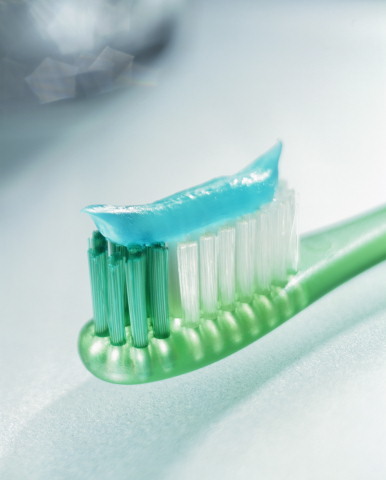 2) What are the common ingredients that can be found in toothpaste? 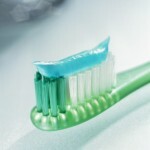 Abrasive: Brushing with toothpaste alone is not sufficient to remove dental plaque. Surfactants/detergents: Bubbles and foams which formed during tooth brushing are created by them. Sodium Lauryl Sulphate is a common surfactant used in toothpaste. It is believed to cause canker sores/aphthous ulcers. Click here to read more about Sodium Lauryl Sulphate and canker sores. Fluoride: Fluoride is added into toothpaste during 1914 to prevent tooth decay. Since fluoride is present in toothpaste, parents should supervise their kids during tooth brushing to prevent fluoride toxicity. Artificial sweeteners to improve taste of tooth paste, thickeners to improve toothpaste volume, sodium polyphosphate to reduce formation of calculus, preservatives to allow toothpaste to be kept for a longer period. 3) What is the amount of toothpaste that should we use for normal tooth brushing? For normal adults, the recommended amount of toothpaste to use is one twentieth per ounce, which is around size of a pea. 4) What happen if I ingest too much toothpaste? The minimum lethal dose of fluoride is 5mg/kg, where as in a tube of toothpaste, amount of fluoride present is 1-2mg of fluoride. Symptoms of fluoride toxicity are such as abdominal pain, nausea, diarrhea, vomiting and etc. Multi organ failure can take place in severe case thus immediate action should be taken if fluoride toxicity is suspected. 5) Can I make my own organic toothpaste? Yes, organic toothpaste can be made by mixing half a cup of baking soda, one quarter of hydrogen peroxide and peppermint oil. It can then be stored in containers or tubes for future use. 6) Other than toothpaste, what sort of oral health products can I use to take care of my oral hygiene? Tooth mousse which helps to give extra protection to our teeth, mouthwashes, tooth crèmes for anti cavity purpose are available in the market. 7) What other types of toothpastes are available in the market? Toothpastes which are available in market are whitening toothpaste which might contain peroxide, sensitive toothpaste, toothpaste which caters for smokers and etc. This entry was posted in Oral Care, Toothpaste and tagged paste, sodium lauryl sulphate, Toothpaste on August 27, 2011 by SH.